Visit our Movie Section for complete listings. Grab Dinner and a movie. Our Dining Guide has dining suggestions, user ratings, menus and more. Be sure to check out upcoming event at Tussey: Brew Expo - Aug. 17 and Life in Color - Sept. 28. The honeybee kills more people world-wide than all the poisonous snakes combined. Just a few upcoming events. Post and see other events on our Community Calendar. 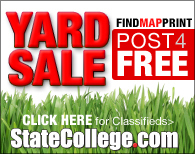 StateCollege.com is viewed by 400,000 unique readers each month. 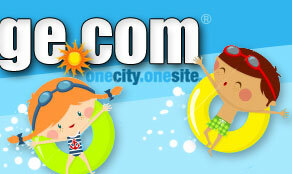 Our weekly community guide e-mail newsletter goes out to more than 30,000 opt-in subscribers! 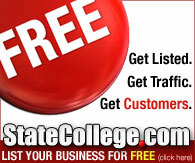 Find out how your business can reach this audience. 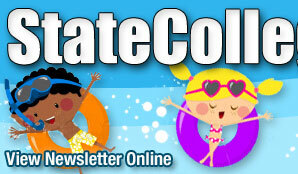 You are receiving this email because you subscribed to the StateCollege.com newsletter. If you no longer wish to receive this newsletter, please unsubscribe.